Last edited by trebor; 04-23-2017, 02:53. 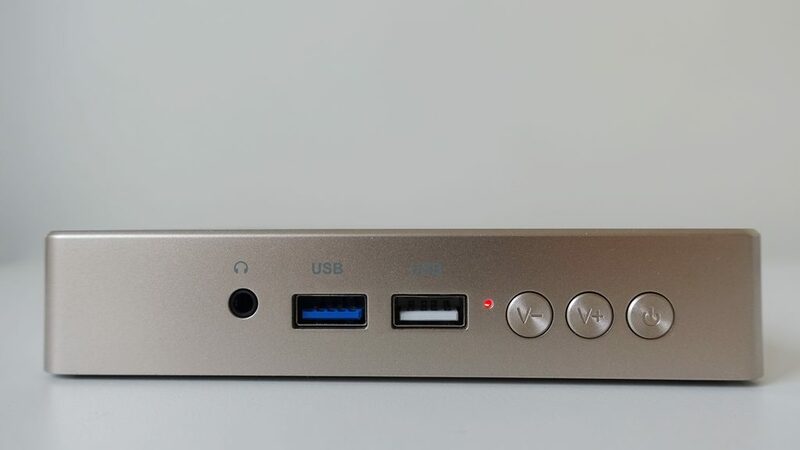 On the first image on the left hand side there is something that I can't seem to be able to identify and I've eliminated any of the regular ports from the specs. Edit: Now I can see that it is a speaker. Last edited by bluesmanuk; 02-14-2017, 20:39. Last edited by bluesmanuk; 02-14-2017, 20:38. How not to create a fake review. First tell people about your basic experiences of this brand new product. Then list the specs on an older model and details things that are not present on the latest one. Then provide a purchase link to the one that you claim to be reviewing. Finish with an incorrect conclusion and a score card. 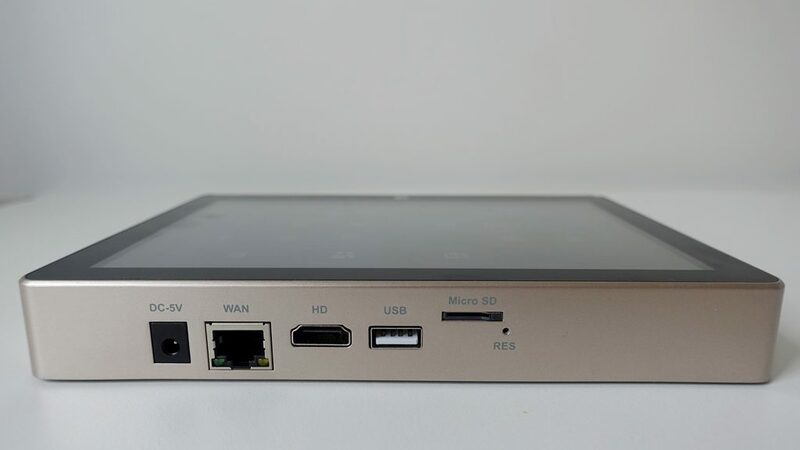 GOLE1 Plus mini PC is very well made. 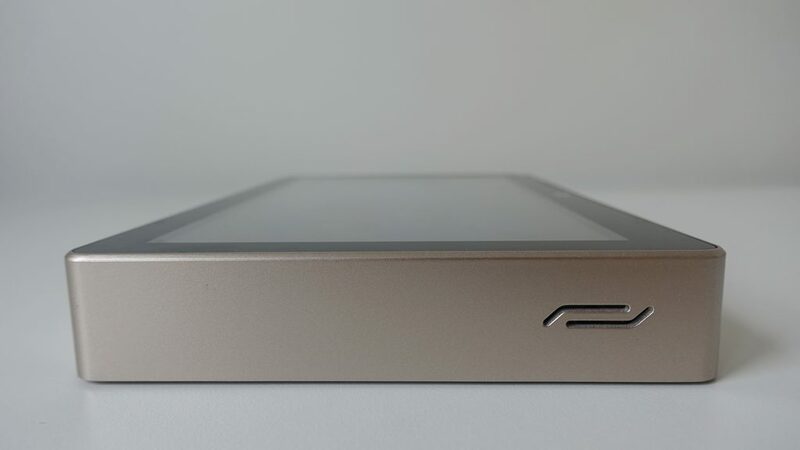 Aluminum housing with golden highlights the quality and value of the product. 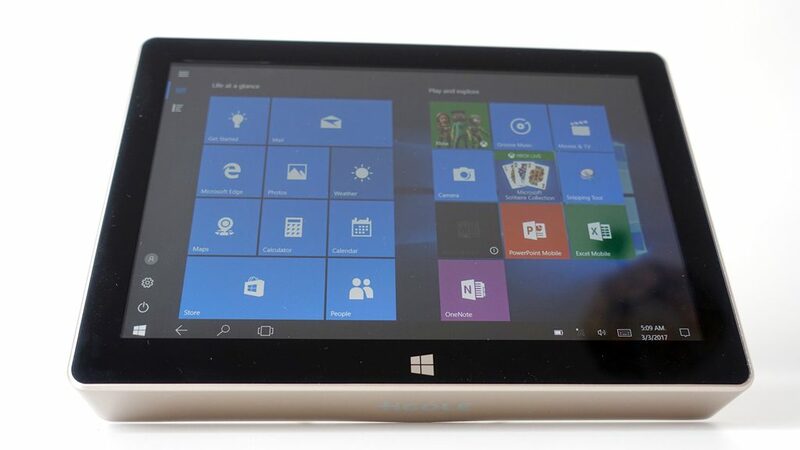 At the top of the device you will find glossy touchscreen 8 inches, with the logo of Windows. 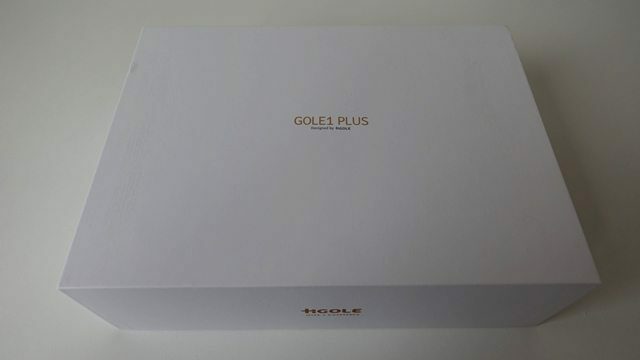 GOLE1 Plus makes a great impression, itâ€™s really high-quality device. 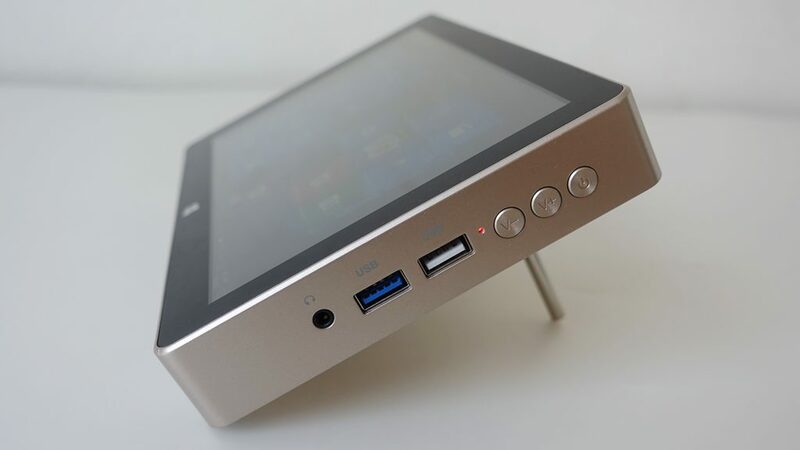 As we wrote in the beginning a mini PC is equipped with Intel Atom x5-Z8350 quad-core, up to 1.92GHz. 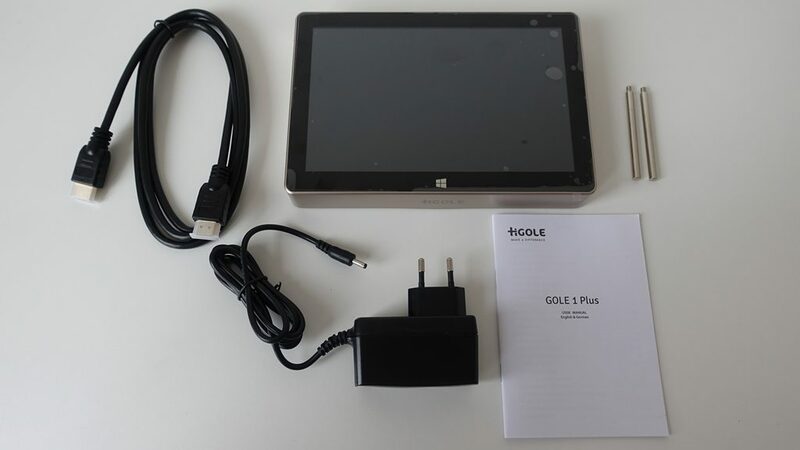 GOLE1 Plus runs on Windows 10 Home 64bit (not activated) just connect the device to the Internet system will be activated. 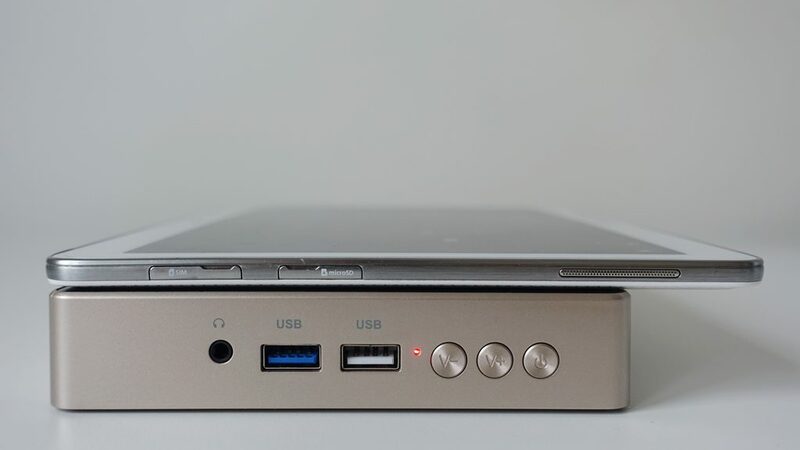 By mounted screen we have access to easily browse all files stored on the mini PC and the ability to take full advantage of the device for work and entertainment. 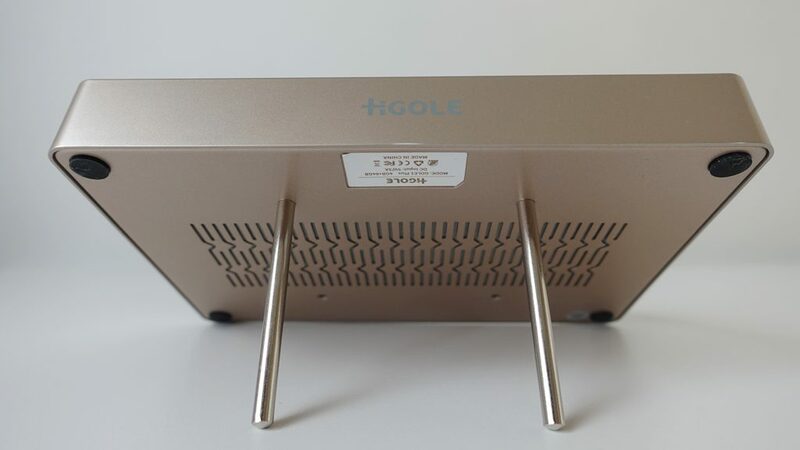 However, if we want to work â€œseriouslyâ€� just hook up GOLE1 Plus via HDMI to a larger monitor, and connect the mouse and the keyboard (great! ), but more on that in the review. 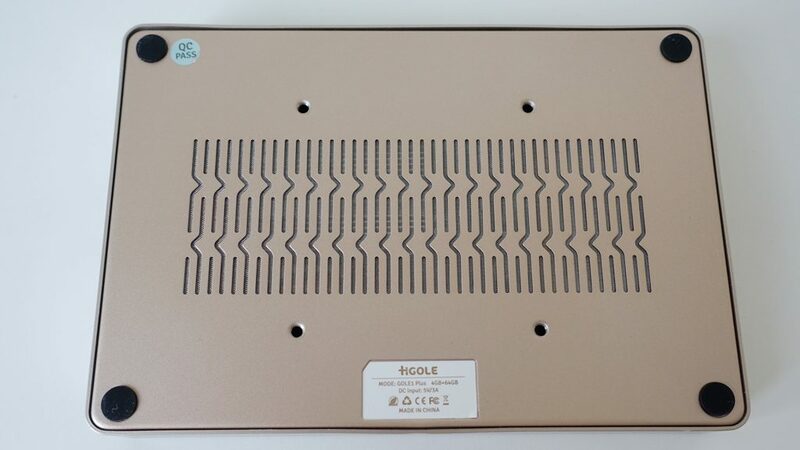 At the bottom of the device there are rubber pads to prevent shifting, also has holes for the discharge of hot air, and sound coming out. 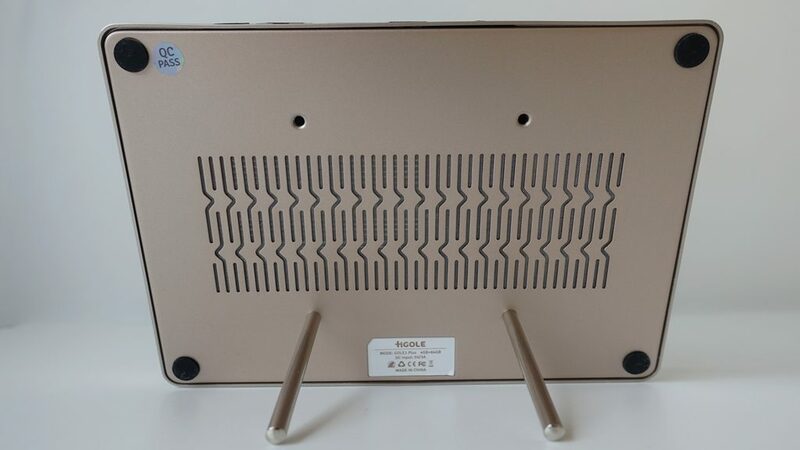 s you can see there are also holes for wall mounting via VESA standard (MIS-D 75x75mm) and sloped position on desktop like as below, screw up both metal poles into mounting hole. 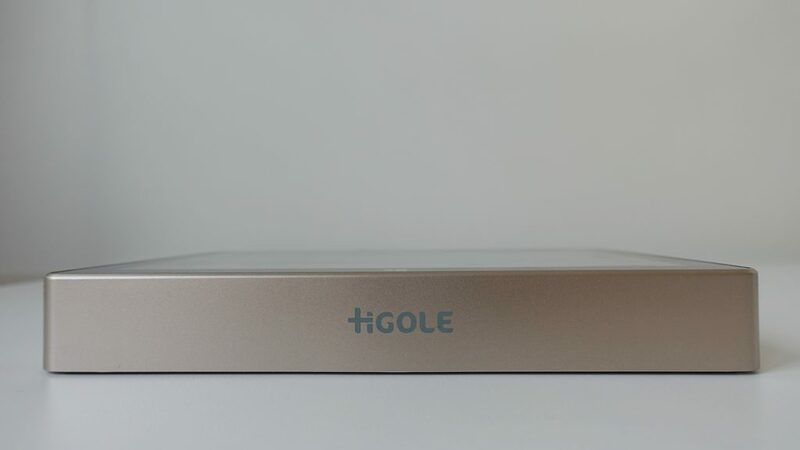 Below is a GOLE1 Plus picture in combination with the Samsung 10.1″ tablet to make it easier to imagine the size of the device. 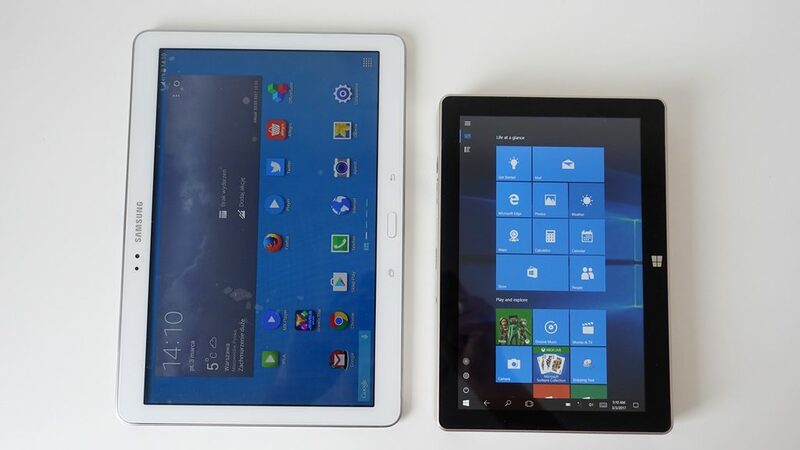 Test so far good, Windows 10 responsive and all updated to the Latest yesterday to the latest Versions. 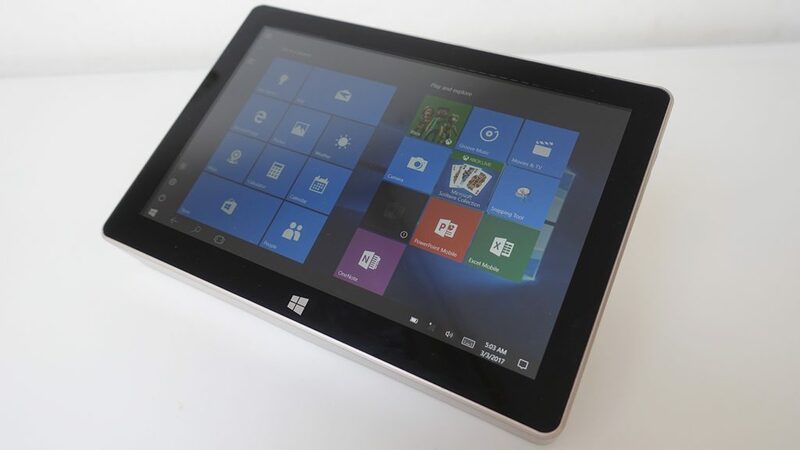 WiFi Ok as Ethernet, Touch screen good or either using Ext Keyboard and Mouse. (720p) 1280 x 800 very readable. Output of HDMI looks good on TV in 1080p. 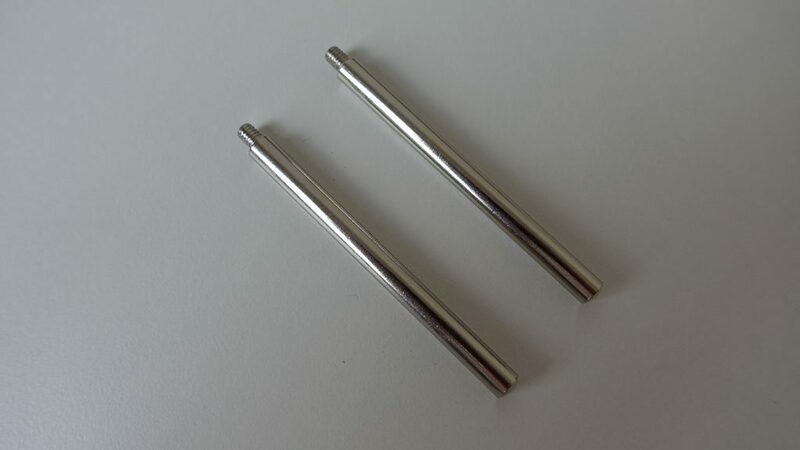 Some may say little Bulky to handle but the 2 steel posts make it easy to stand on desk if required both in Landscape and Portrait. A quick look on the inside plenty of space to add bits if you think its needed. Audio from small speaker is well fair with all that room they could have beefed it up a little more I feel. There is the headphone sockets and they sound fine with Phones plugged in or external speakers if you like. Last edited by trebor; 04-24-2017, 15:49. Always Could be better, not to bad. Last edited by trebor; 04-24-2017, 15:47. 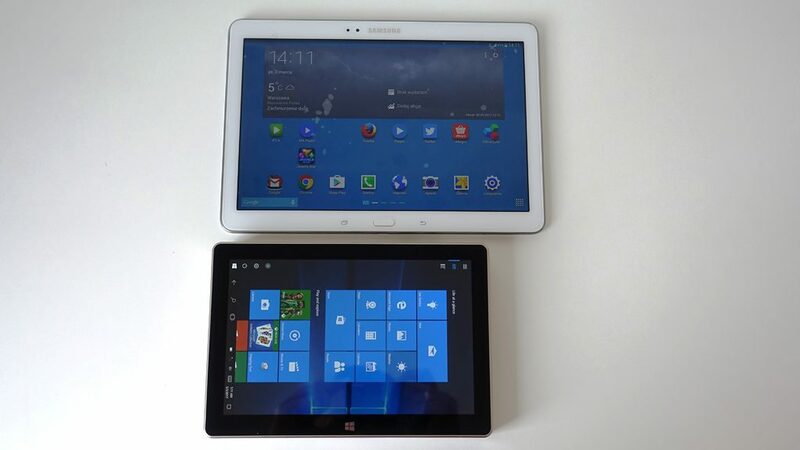 Not a bad little at all, does as expected for Ram and CPU ideal small office, easy to connect to larger screen 1080 full screen. Wow! There is a lot of space in the case. Very roomy indeed fill it up with more batteries I say. Mine caught fire after consistently only staying up for a maximum of 10 minutes at a time. Don't know exactly what the cause was but I suspect the lithium battery will have been the likely candidate. It didn't do my white ceiling any good either. Hope we have some Photos...Sounds like a good post about safety and Dangers...of media boxes. I heard of Halt and Catch Fire, did it halt first? Seriously though, lucky you were near, so domicile not go with box. All times are GMT-8. This page was generated at 16:46.